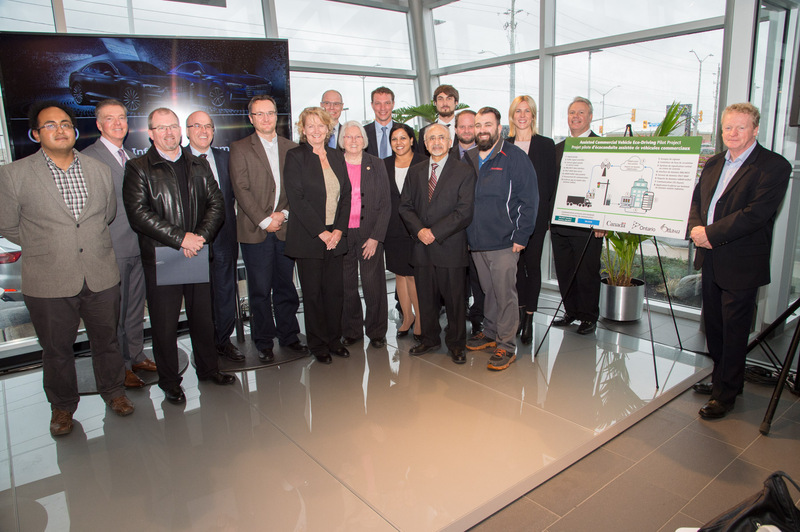 On Thursday, Mayor Jim Watson was joined by Parliamentary Secretary to the Minister of Transport, Karen McCrimmon and Michael Zweck Audi Connected Systems Developer, at our dealership to demonstrate the benefits of I2V (Infrastructure to Vehicle) technology. Ottawa was the first city in Canada to test this technology. The City of Ottawa has partnered with Transport Canada and the MTO (Ministry of Transportation – Ontario,) which developed the Assisted Commercial Vehicle Eco-Driving Pilot Project. The project is a one-year initiative that is currently running along a six kilometre stretch of Hunt Club Road between Cleopatra Drive and Uplands Drive. The corridor contains 12 traffic signals and is supported by a central control signal system which communicates with connected vehicles, providing timing information on when a traffic signal will change and recommends optimum speeds to reduce fuel consumption and emissions and avoid hard braking. For the project, the City provided the Eco-Driving vehicles operated by Purolator Courier and Crepin Cartage, (a member of the Greater Ottawa Trucking Association) with a basic tablet with a system app that relays the signal information to the drivers. 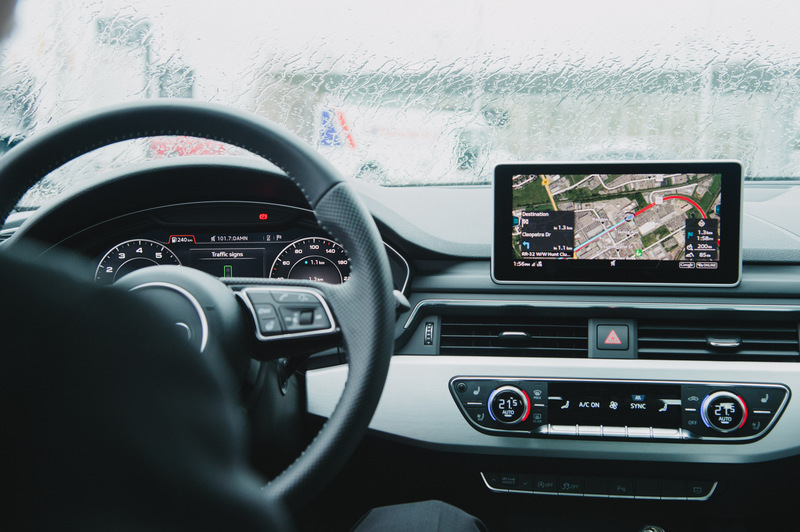 In Audi’s case, the software and hardware will be built into some of their models from Model Year 2019 (A3, A4, A5, A6, A7, A8, Q5 and Q7) allowing their vehicles to gain access to traffic control system information when the vehicle is connected to the city’s traffic infrastructure. Purolator and Crepin completed test runs of the system in August 2017 and have since then been undertaking trips through the corridor to collect study data for the project over the past couple of months. The data collection phase is now completed and Carleton University has begun analyzing and evaluating the information to determine the types of efficiencies gained in both emissions and fuel consumption and the associated environmental and economic gains. A final report will be provided to the MTO in the first quarter of 2018.